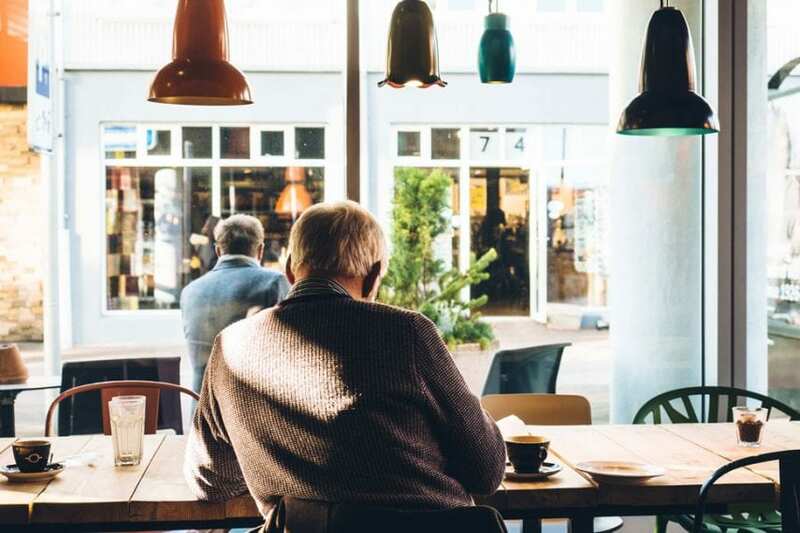 With the potential that isolation holds for breeding addiction, the connection between boredom and drug abuse, and easy access to pain medication, addiction is an all too familiar struggle for many seniors in the post-retirement phase of their lives. But with proper treatment and therapy, you can learn how to forge a new future that provides you with just as much motivation and happiness as your pre-retirement life—without using substances as a crutch. As much as I was looking forward to my retirement, I also felt a sense of underlying fear. My sense of self was so connected to my job that I was scared of how I would cope with the new life that lay ahead of me. Eventually, I found myself consumed by this fear, which drove the cycle of prescription opioid abuse that I ultimately fell into to cope with it. Post-retirement can be a difficult time for some—exciting, but also confusing and even unnerving—and many people find themselves turning to addictive substances to help them deal with this stress. If you’ve fallen into a cycle of addiction during this period, escaping it requires an understanding of its root causes. Once you become aware of these causes, you can properly address them in treatment programs that offer you the tools and therapies needed to enjoy the later years of your life, rather than helplessly watching them slip by. Human beings are social creatures—the bonds that you form each day are the building blocks of your romantic relationships, career, and even your sense of self. That’s not to say that you don’t need time to yourself, or that you’ll never get lonely, but maintaining a healthy social life is necessary for living a balanced life. In fact, research has shown that “most psychiatric disorders involve some disruption of normal social behavior,” and addiction is no different. Studies have shown that addiction can stem from specific dysfunctional attachment styles, specifically insecure attachment. Individuals with this attachment style, which develops as a result of early-life parental relationships, learn to cope with their stress and problems solely on their own. This isolation and lack of social contact can push them to use drugs in order to cope with their problems, as opposed to using healthy social support systems. For many, post-retirement life can quickly become an isolating experience. You might feel distanced from all of the things that used to define you—your job, your friends, your colleagues. This feeling can easily lead you down the path of substance abuse and cause you to become trapped in the cycle of using drugs in order to compensate for this loss. But post-retirement doesn’t have to be alienating—through peer support groups, you can stimulate yourself in a positive way and maintain healthy social bonds that can keep you off of the path of addiction. These groups have been shown to benefit the treatment of Substance Abuse Disorders (SUDs) by giving people struggling with them a means of connecting with others that can empathize and relate to their hardships. Even after you leave treatment, you can remain connected to them and continue to promote the growth necessary for the lifelong process of addiction recovery. One of the key steps that you need to take to overcome addiction and regain control of your routine—and one that is a strong focus of drug treatment programs—is to establish a healthy routine defined by structure and balance. By replacing the cycle of your addiction with this new routine, which will likely emphasize healthy habits like exercise, diet, and other holistic treatments such as art therapy, you can forge a new path that fosters adaptive behaviors. With age comes unavoidable health problems, and a common problem that affects seniors is pain, such as lower back pain, nerve pain, and joint pain stemming from inflammation. Although you might find it easy to dismiss the pain that you experience as a byproduct of aging, leaving this pain untreated can both decrease the quality of your life and push you to self-medicate, thereby paving the way for addiction. Even if you do address your pain through a doctor, it’s important to understand that addiction can still manifest. Our reliance on doctors and pain medications as we age and a cultural acceptance of poor life quality in our later years promotes the false perception that using the drugs we’re prescribed can’t cause addiction, but this couldn’t be further from the truth. Many people over the age of 65 are prescribed opioids for pain management, and last year alone over 40 million prescriptions for these drugs were given out. This is a likely contributor to the 17 percent of older adults in the United States that are affected by alcohol and prescription drug abuse. A proper treatment program will provide you with holistic therapies that can act as alternatives to opioid pain medications, including mindfulness meditation, which has been shown to bolster substance abuse treatment, and Dialectical Behavior Therapy (DBT), which emphasizes interpersonal relationships, stress regulation, and proper regulation of the emotions and experiences that you deal with as a senior. The turbulence that comes with post-retirement and potential for being exposed to environments conducive to substance use can easily place you on the path to addiction. But through a comprehensive residential treatment program, you can learn to create a positive post-retirement environment that provides you with the motivation and drive that you need to keep yourself connected to the things that help you keep your health—and your life—on track. Alta Mira offers comprehensive addiction rehabilitation for seniors struggling with post-retirement addiction. Contact us today to learn how you can create a new life that promotes an adaptive, healthy lifestyle free from the clutches of substance abuse.